Need a gathering spot while you grill in the backyard this summer? With just some cinder blocks and an outdoor pallet, make this stunning DIY outdoor bar. Imagine having to cook dinner with your stovetop and oven on the main level, but your refrigerator and countertop upstairs. That’s exactly what the Husband dealt with for three years any time he grilled. You see, we live in a split-foyer home, which means that he was running up and down the stairs to get food and utensils. It’s no wonder he finally insisted on getting a prep table for the grill this year! And if you’ve followed along with our backyard renovation, you can probably tell that we have a tendency to plan small, but end up going big. That, my friends is a 7-foot by 3-foot pallet! And once I saw it, I knew it would be the perfect way to give my husband the outdoor prep table of his dreams. 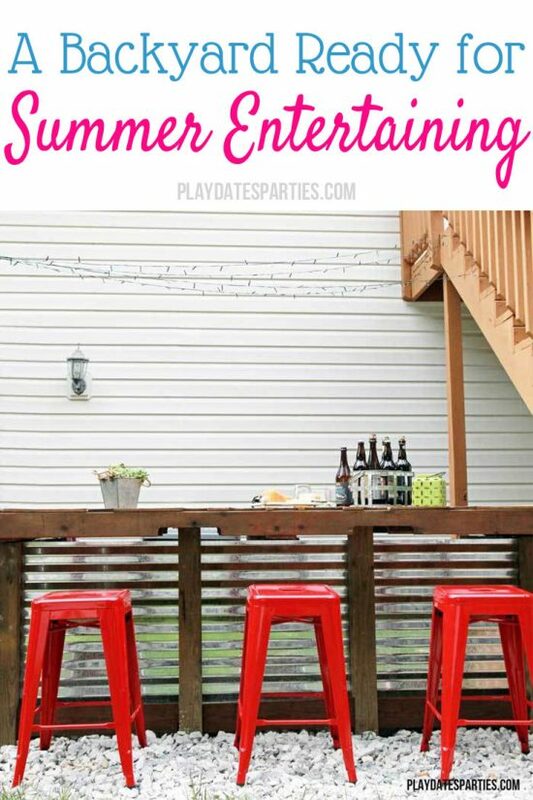 Even better…how about prep table and DIY outdoor bar! I won’t lie, this gigantic outdoor bar was a lot of work. But we’re both in love with the results. The most time-consuming parts were actually the preparation of the pallet (filling in the gaps) and leveling the ground underneath. After that, the build was pretty fast. Seriously, as the husband sat in meetings, I texted him pictures of my progress. By the time he came home, it was completely finished. I’ll apologize now for the muddy build pictures. That’s just what I was dealing with after the rain we’ve had. So, it was messy, but it was FUN. 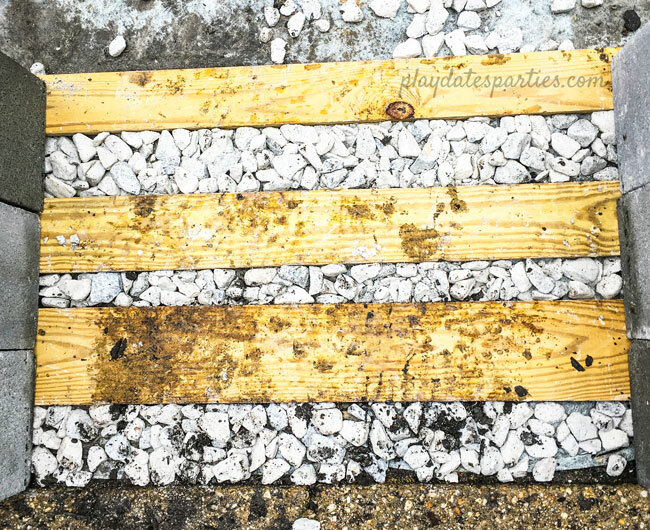 Carefully measure and note any gaps between the boards in your pallet. Make sure to measure the width of each gap at several points, to ensure they are fairly even. Sand down the plywood to remove any rough edges and stain the plywood and the pallet. Don’t forget to add a water sealant to these as well. Screw in each board to the gaps in the pallet using exterior-grade screws. Do your best to level an area wider than your pallet. You can either rent a tamper, or use a hand tamper as we did. Arrange the 8x8x16 cinder blocks on the ‘skids’ to create the legs of the table. In this case, we stacked them on their short sides, 3 across and 2 high. As you build these table legs, make sure that the cinder blocks are placed directly under a pallet brace. This will add stability. Construction adhesive can be used to bond the cinder blocks together for more stability. 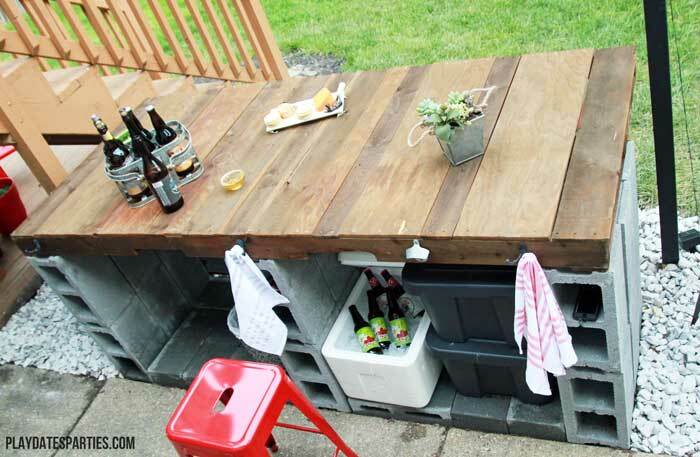 Arrange the remaining 4x8x16 cinder blocks between the legs to act as a floor for your table. 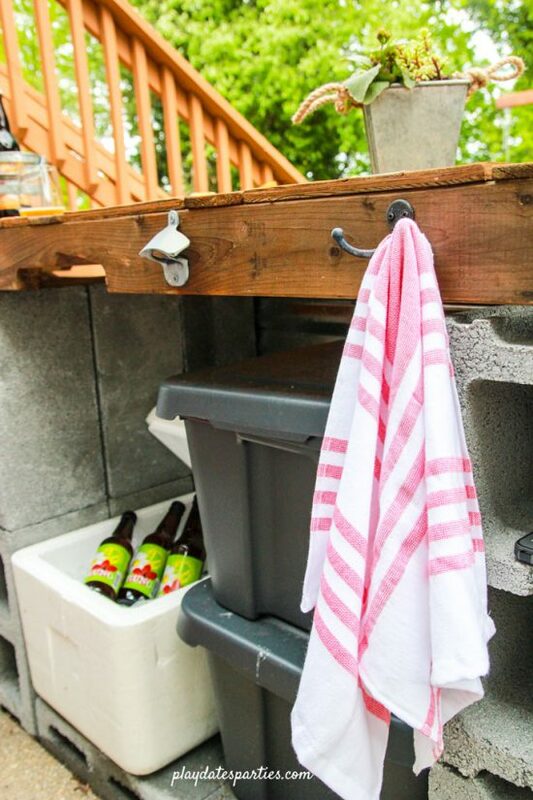 This will make it easy to slide bins and coolers in and out from the underside of the table. 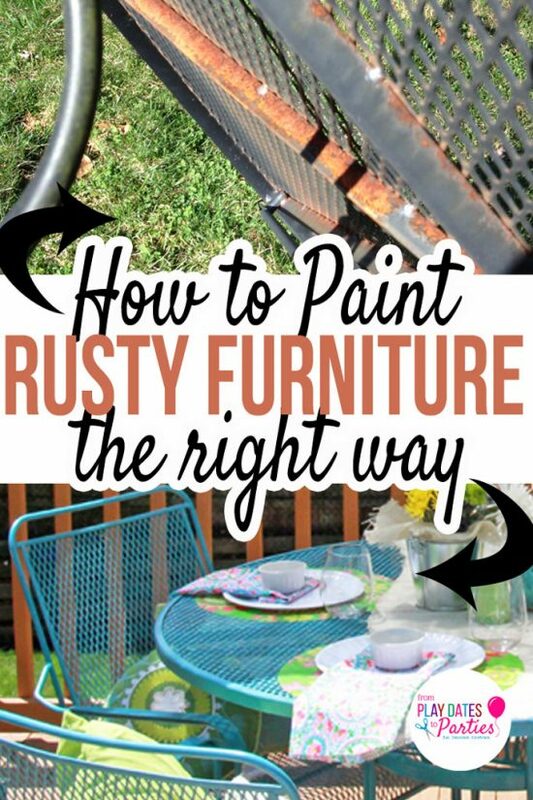 Carefully place the finished pallet on top of the cinder block legs. 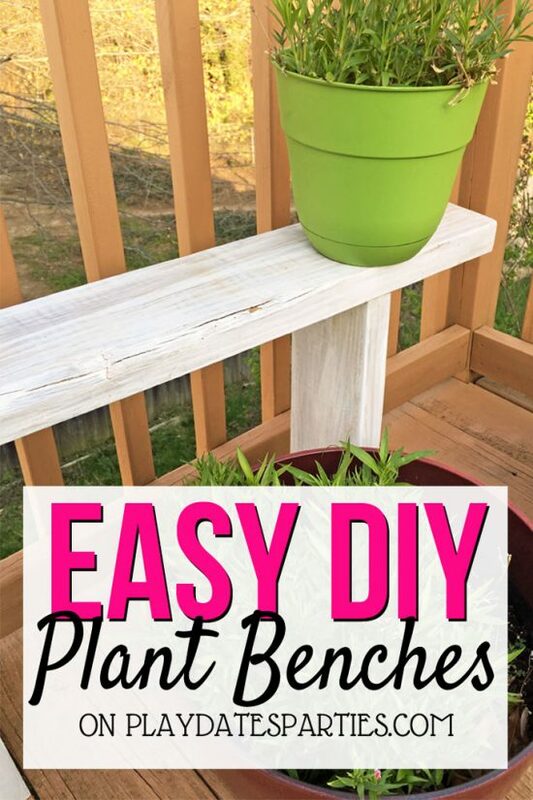 Add a heavy weight or an extra cinder block on top while you do the next steps. Carefully cut corrugated sheet metal to the length of your table. I used tin snips, which was not easy, and left sharp edges. If you have the right power tools, definitely use them here. And always be sure to wear protective gear, no matter how you’re cutting metal. Cut four 4×4″ exterior posts approximately 36 inches long. Placing the corrugated sheet metal against the cinder blocks and then install the 4×4 posts evenly along the front of the sheet metal. (In our case, that was about 24 inches between posts). Attach the corrugated sheet metal to the back of the posts using exterior screws. (I started each hole by hammering a screw in the spot that needed the hole.) Don’t forget to wear ear muffs to protect your ears. This gets very loud! Stain and seal three 1×4 boards cut to fit between each post. The should be long enough to be held in place with pressure, but, you can add some wood glue if it makes you feel more comfortable. Finally, add a 1-inch furring strip of wood between the post and the cinder blocks to hide the outside edges of the corrugated sheet metal. Again, you can use glue to hold this in place if you like. Although the weight of the finished pallet should make it pretty secure, there is still a risk of the bar tipping from guests leaning on it. 2018 Update! How we resolved holding the pallet in place. 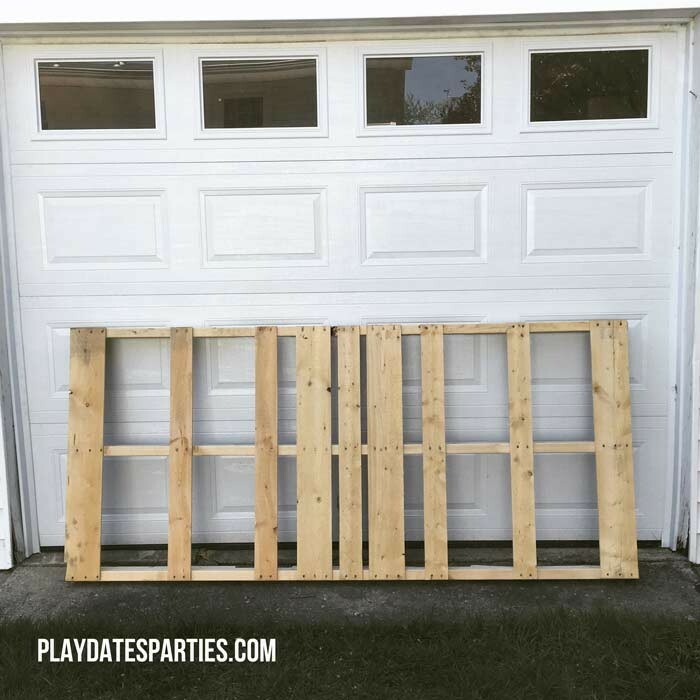 At the time I originally shared this post, the Husband and I couldn’t agree how to actually attach the pallet to the cinder blocks. I wanted to use sleeve anchors, which are made to go into masonry, but we couldn’t figure out exactly how to get the drill bits into the tight space that was allotted by the pallet. We considered using construction adhesive, but were still concerned that it would degrade over time. So, my husband came up with an interesting, easy, and inexpensive alternative: clamps. He bought a set of clamps, and clamped the bar to each of the concrete pillar legs. I’ll admit it’s not the prettiest solution. And I was concerned about kids running into them. But they’ve worked well. I’m hoping to do a full video update on the bar soon, and will embed it here when it’s done. Make sure you use plywood rated for exterior use. Even with treatment, cheaper plywood will absorb moisture and will start to fall apart. Counter height is 36″. The cinder blocks are listed as 16″ wide, but are actually closer to 15.5″ wide. The pallet has a depth of 3.5 inches. With the skids underneath the cinder blocks, the table is almost perfectly counter height. Pallets come in all shapes and sizes. Our pallet was 7’3″ by 3’3″. The length and depth turned out to be the perfect size to create an outdoor bar. If you don’t have a pallet the same size, please do all your measurements first. Pull out that graph paper and make diagram after diagram to check your design before you get started. 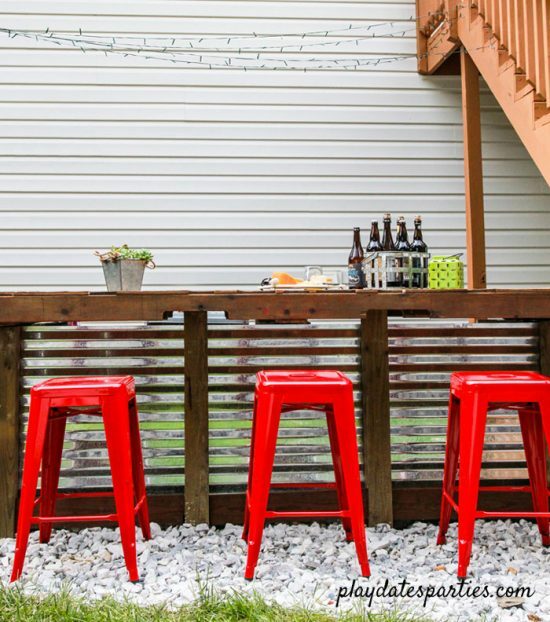 Even if you don’t have to worry about going up and down stairs constantly while grilling, this DIY outdoor bar is a great addition to any backyard. Once you have the land prepared and the pallet finished off, it shouldn’t take more than a day to complete. You can enjoy a beer at your new outdoor bar by the end of the evening. Sounds nice, no? 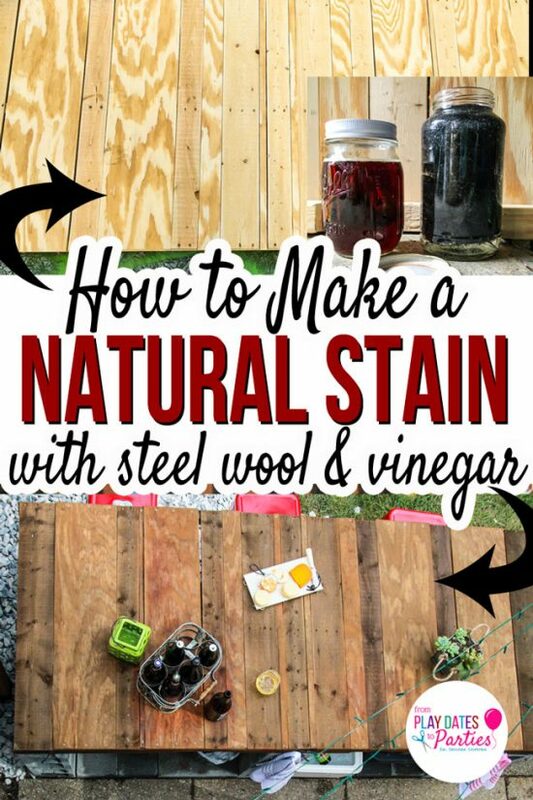 What would you make with a leftover pallet? Would you use cinder blocks to create furniture? 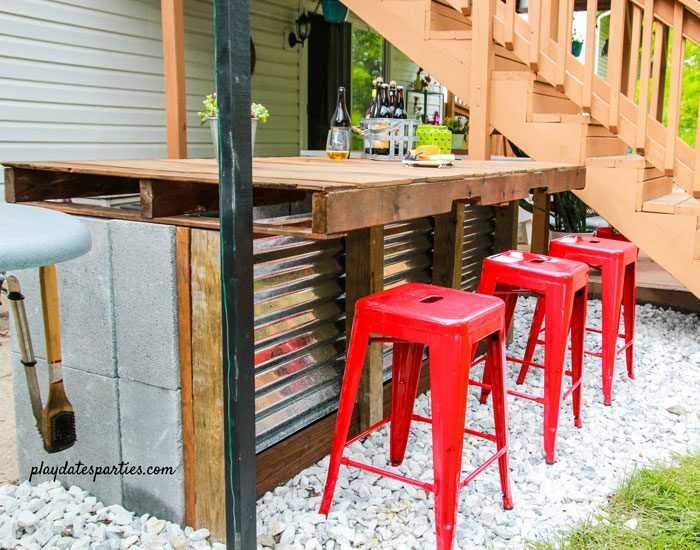 Check out these other Projects from our Backyard Renovation! Wow, this must be the hot place to go this summer! I love it. It takes outdoors entertaining to a whole new and fantastic level. Thanks Tamara! It’s definitely our happy spot so far this summer! How fun! I’ve been meaning to get a grill. You get so creative with your household items Leslie! If you get a grill, definitely go charcoal! We kept our gas grill for a few years after buying the charcoal kettle, but it just sat unused until we finally got rid of it this spring. First of all? You are my shero. You need a reality TV show on hgtv. I soooo wish you lived near so you could show me all of your DIY ways Goddess!! Ha! I don’t know if I’m HGTV ready…but thank you so much for your sweet words, as always! great idea and great use of material! Let us know how you attach the pallet to the blocks. The red stools are so fun! I’m hanging my head in shame that we still haven’t bolted the pallet down. I discussed it with our GC, and he said we probably didn’t need to do more than add posts at the outer corners to keep it sturdy. Of course, I’m a pain, and don’t want the visual of the corrugated steel front to be obscured! I wish I had a quarter of your talent! This is absolutely adorable! What a fabulous entertaining place! Awesome, this is great and i love your red stools with it! Saving it to my Build Projects board and my DIY Inspiration board. Thanks for saving it! I probably wouldn’t have gone with the red stools…those were totally the Husband’s request, and he was right, they really make a statement! wow, it is really gorgeous, and those stools are perfect! thanks for sharing on craft schooling Sunday! What a great project! You did an amazing job and now you have a great place to spend your summer! 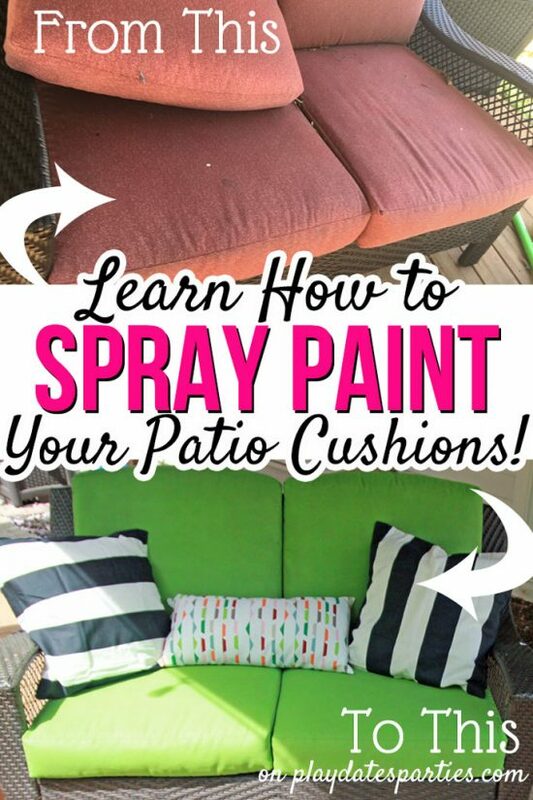 You know , we actually don’t spend as much time on the cushy patio furniture now. It’s just so easy to pull up one of the stools from the bar. I definitely recommend a large outdoor bar for any backyard! This is so cool! You did a fabulous job all by yourself and it’s so right on trend too. Thanks for sharing this on Merry Monday. Pinned. We have left over bricks from a neighbor who moved and left them with us, this just might be a perfect use for them. Thanks for sharing at the Inspiration Spotlight party. Have a great week ahead. Pinned & shared. I like the metal accent! So cute! We’ve used pallets for a wine rack and towel bar, but not a big piece of furniture yet. Whoa, this is impressive! Great work! I so need one of these! I hate cooking on the barbecue cause I have to run inside whenever I need something and there is no room to place things. 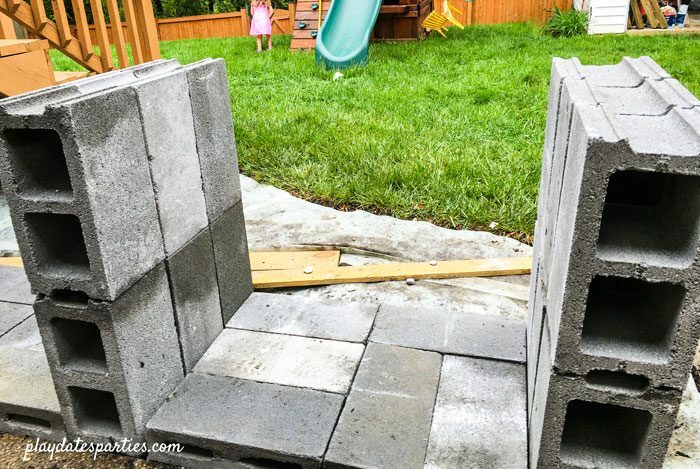 Brilliant idea using the cinderblocks! Pinned. What a great idea! thanks for sharing on the Pleasures of the NW’s DIY Party! Endangered Species Act (except for public zoos and aquariums, which can obtain permits). Looks fantastic! Amazing what a simple pallet can inspire. The red stools are the frosting on the cake. That is so cool!!! I wish we had a space for something like that! It looks great, you did a wonderful job. 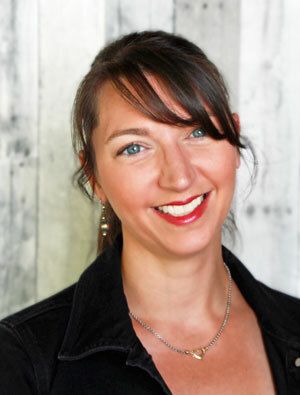 Tank you for sharing at The Really Crafty Link Party. Pinned. I’m picturing this in my backyard. It would be perfect for BBQs and the kid’s parties. You did a great job. I’m Pinning your post. Thanks for sharing on Sunday’s Best. 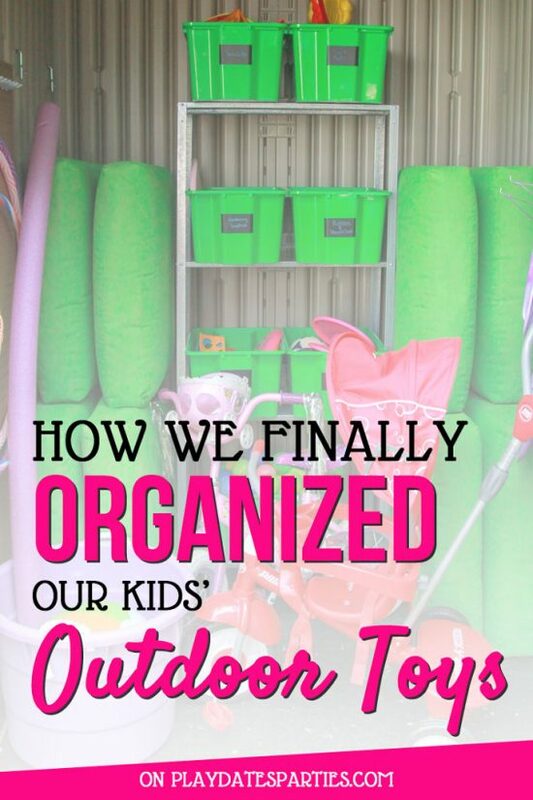 Looks like a great outdoors project. We have cinder blocks and pallets. Found you on Blogger’s Pit Stop. Oops! You did it again! 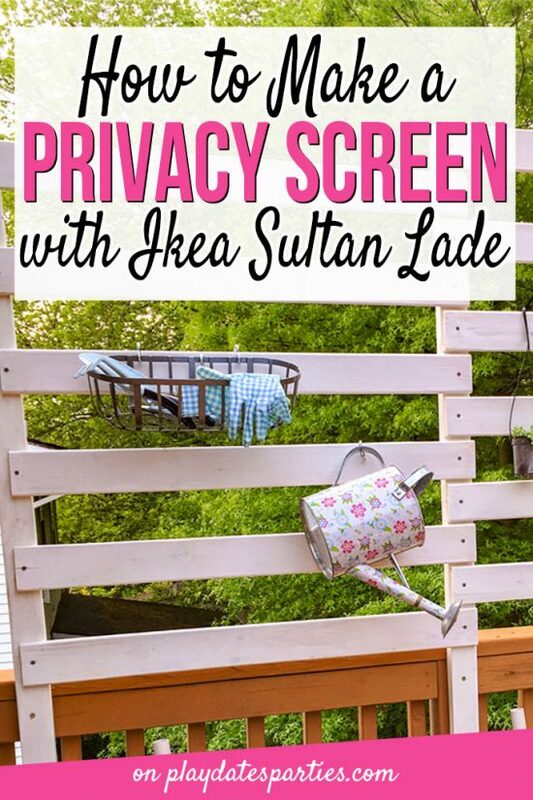 haha I am totally into your projects and am featuring your outdoor bar on next weeks OVER THE MOON LINK PARTY which goes live on Sunday evening at 5 pm central. 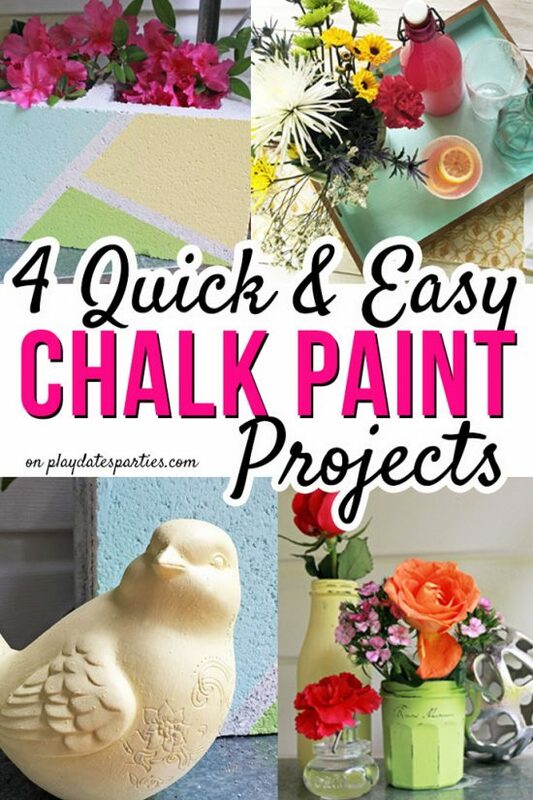 Please stop by to see your feature and please link up some more fabulous projects! This is so fabulous! Thanks for sharing it with SYC. What a fabulous idea!! Think you have just given us an idea for our outdoor space! This turned out amazing! What an awesome spot to eat and hang out! 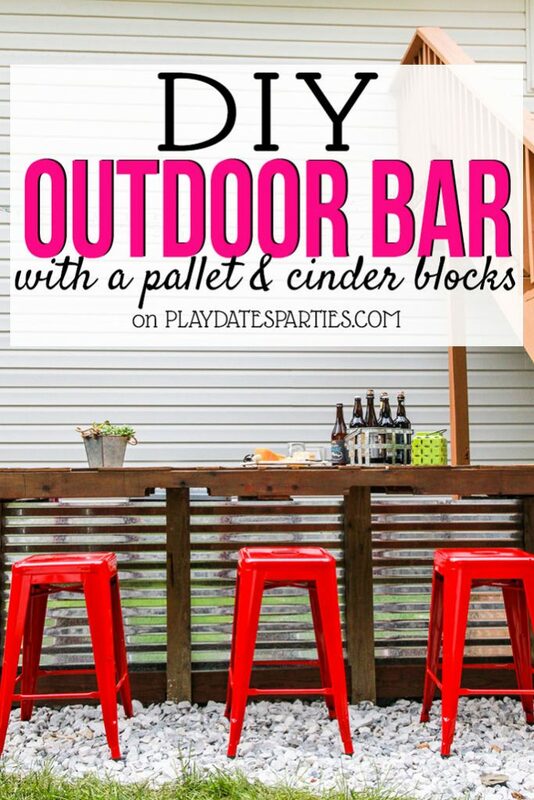 Thanks for linking up with Merry Monday – I’ll be featuring your outdoor bar at our upcoming party. Hope you’ll stop by next week!